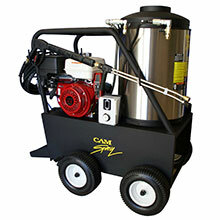 Cam Spray offers hot water pressure washers that are electrically or gas powered. 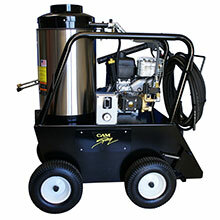 Electric powered heated pressure washers are generally less expensive to operate compared to gas or diesel fuel powered ones, and their motor can last two to three times as long. 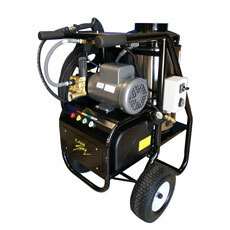 Gas powered heated pressure washer offers high performance as an economical alternative to diesel engines.